RM Sotheby’s has announced its biennial Monaco sale on May 12 at the Grimaldi Forum, Monte Carlo. At the sale will be a flawlessly maintained 1978 Ferrari 308 GTS – first gifted to ex-Formula One and Scuderia Ferrari team driver Gilles Villeneuve by Enzo Ferrari – which will be joined by two stand-out, race-driven 1990s F1 star cars. A 1992-season Benetton B192, driven by Michael Schumacher in the Spanish Grand Prix, is on the consignment list together with a 1999 Jordan 199 Formula 1 car, driven to second place by Heinz Harald Frentzen at the ’99 Australian Grand Prix. Records show that Villeneuve received the Ferrari 308 GTS at the start of his six-year association with the Scuderia Ferrari racing team in 1977, as a gift from Enzo Ferrari while the Canadian driver was in Europe for Formula One competition and training. The car remains in highly original condition. 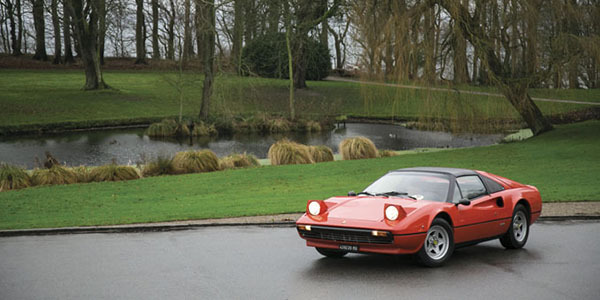 The Ferrari includes several features differentiating it from standard production 308 GTS, which were likely installed by the factory when new. Used regularly by Villeneuve, the 308 GTS remained with the driver until his tragic death at the 1982 Belgian Grand Prix. It is said that he would often use the Ferrari to drive from his Monaco home to Ferrari’s Maranello base in Italy, and legend has it that he once completed the journey in just 2 hours 25 minutes, with an average speed of over 110mph. The 308 GTS was officially recognized by Jacques Villeneuve – Formula One World Champion in 1997 and son of Gilles – as his father’s car when the car entered ownership of a private collection in Denmark, where the Ferrari has most recently been kept. The sale includes forms signed by Jacques which state this. The car – then fitted with number plates denoting its Modena region registration in Italy – also appears in a number of magazine and newspaper articles on Gilles, included with the lot, to serve as the ultimate memorabilia for any motorsport fan who could bid on this car. Official import documents and service history also accompany the Ferrari. As one of two vintage racecar consignments, the 1992-season Benetton B192 Formula 1 car is a headline lot to look out for in Monaco. 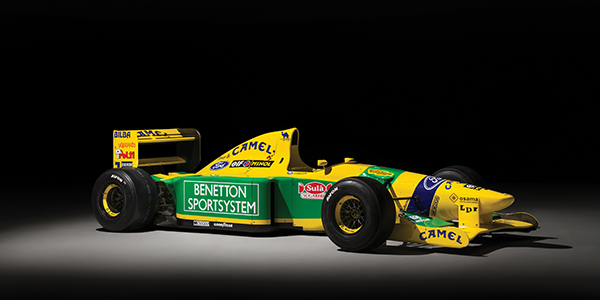 With Benetton, the car raced at the 1992 Spanish Grand Prix (the fourth round of the Championship for that year), which was the B192’s debut. The legendary Michael Schumacher qualified in second behind Nigel Mansell and took second place in the same race. This would help lead both Benetton and Schumacher to third place in the Manufacturers’ and Drivers’ Championships at the end of the season respectively. The Spanish Grand Prix would be its only formal race. Afterwards, the car was used as a spare at San Marino and Monaco. The second race-driven car, the 1999 Jordan 199 Formula 1, was driven by Heinz-Harald Frentzen during the 1999 Formula One season and was piloted to second place at the Australian Grand Prix and third place at the Brazilian Grand Prix. 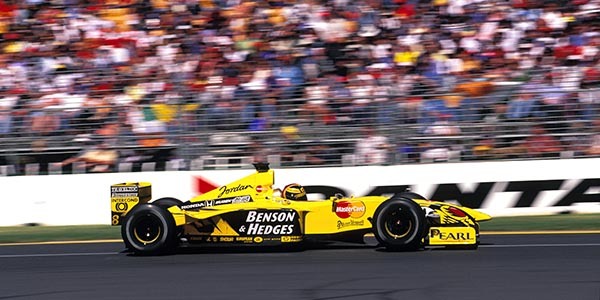 Fitted with a mid-mounted, naturally aspirated Mugen-Honda MF-301HD 3.0-liter V10 engine, the 199 is recognized as Jordan’s most successful car in the team’s 14-year history, allowing Frentzen and teammate Damon Hill to secure two race wins, one second place and three third-place finishes in that season.